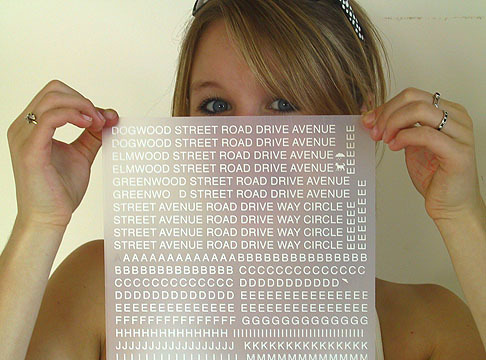 Type transfer sheets sold under brand names like Letraset, Geotype, Mecanorma are well known. The emergence of the personal computer and digital printer caused them to gradually disappear from store shelves. However, even in their heyday, the stock transfer sheets were limited in variety of size, color and design. After custom dry transfer services appeared on the scene, the ability to transform any black and white image into a transferable (multi-) colour image gave the designer an ability to produce high fidelity color mockups, in a sense, highly enhanced custom letraset. Today, few stores handle stock transfers. However, whenever the substrate is unsuited for digital reproduction, when metallic colours are involved or a high degree of spot color accuracy is required, rubdowns are remarkably useful.